Looking for 100% grass-fed beef and healthy meat you can trust? All of our animals are humanely raised & free from antibiotics and hormones. 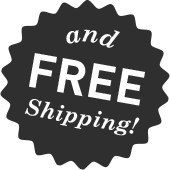 100% Grass Fed Beef, Free Range Organic Chicken, & Heritage Breed Pork Delivered For free To Your Door For Less Than $6.00/Meal on your schedule. When it comes to meat, quality matters. But finding high quality healthy meat can be hard. Our goal is to find you the healthiest and highest quality beef, chicken, and pork every month. 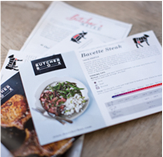 We hold all our suppliers to strict standards and taste test every cut before putting it in your ButcherBox. As a father of three, I want to provide my family with the highest quality and healthiest meat possible. 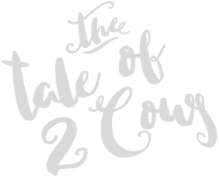 After years of researching suppliers and sampling products, I have finally found a collection of producers I can trust and I want to bring this to you. Our producers include family run farms and cooperatives who hold quality and animal welfare as core values. I feed my family from the same ButcherBox cuts as we send you to feed your family. We believe the food system in this country needs improvement; animal welfare issues continue to surface, people in rural areas have limited access to clean meat sources and there is not enough information out there on how to eat well. We are dedicated to doing our part to connect families with the foods they want to eat by establishing an always-open, neighborhood butcher, online. 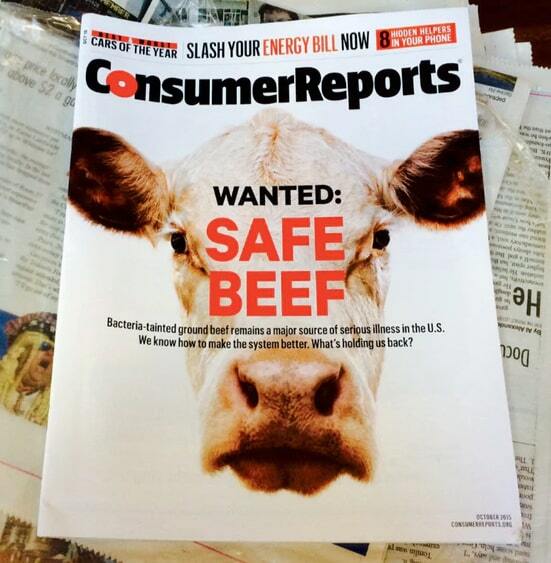 Consumer Reports recommends you avoid conventionally raised beef from feedlots and instead eat 100% grass-fed beef. the U.S. is grain-fed and processed in feedlots? Because of crowded conditions, these cattle are often fed antibiotics to help prevent the spread of disease. We are encouraged by the FDA’s new guidelines this year that ban the use of antibiotics for growth promotion, but widespread use of antibiotics to control outbreaks can still lead to the creation of ‘superbugs’ (aka antibiotic resistant bacteria) as documented by Consumer Reports in 2015. These superbugs can limit the effectiveness of routinely administered antibiotics used to treat and prevent infections in humans. Grain-fed cattle can also grow to an unnatural weight due to the administration of growth hormones and fillers like corn, soy, and animal byproducts such as bone-meal, blood-meal and feather-meal. When we eat animals that are not healthy - we become unhealthy. 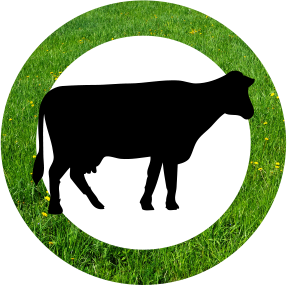 Cattle that are 100% grass-fed enjoy free range on grassy pastures throughout their entire life. They are never put in CAFOs (concentrated animal feeding operations). Grain-fed cattle start their lives on pasture, but are later moved to feedlots with no grass. Cattle eat their natural diet of grass, and may receive other grasses like silage and hay when weather conditions don’t allow for grazing. 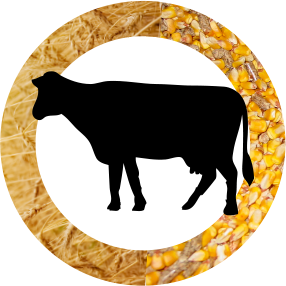 In the feedlot, cattle are primarily fed grains like corn and soy and distillers grains which are a byproduct of ethanol production. They may also be given animal byproducts like bone-, blood- and feather-meal. Because cattle only eat grass and get plenty of exercise, the meat has less fat, 3X the heart healthy Omega 3’s, less inflammatory Omega 6’s, more CLA, which can speed fat loss and help fight cancer, and a higher portion of vitamin E, B-vitamins, calcium, carotenoids, magnesium, and potassium. Due to their grain-based diet and time in the feedlot, the meat is higher in fat and lower in key nutrients found in grass. Never given growth hormones or antibiotics. Routinely given growth hormones to speed growth and antibiotics and other drugs to prevent the spread of disease in feedlots. 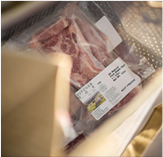 To ensure the best possible product we taste test every cut from every farmer before we include it in our shipments. "Grass-fed (ButcherBox) was the hands-down winner in the steak competition. Barely finishing the first bites, each taster, literally blindfolded, declared the grass-fed steak the winner. "It's no contest." "We were able to get our hands on an early box and were impressed." 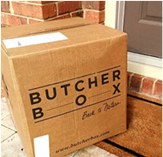 "If you love healthy, 100% grass-fed beef, then you'll love ButcherBox! 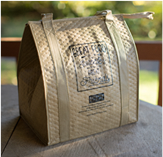 We've tried their product, love the taste and the fact that they deliver it right to your door."